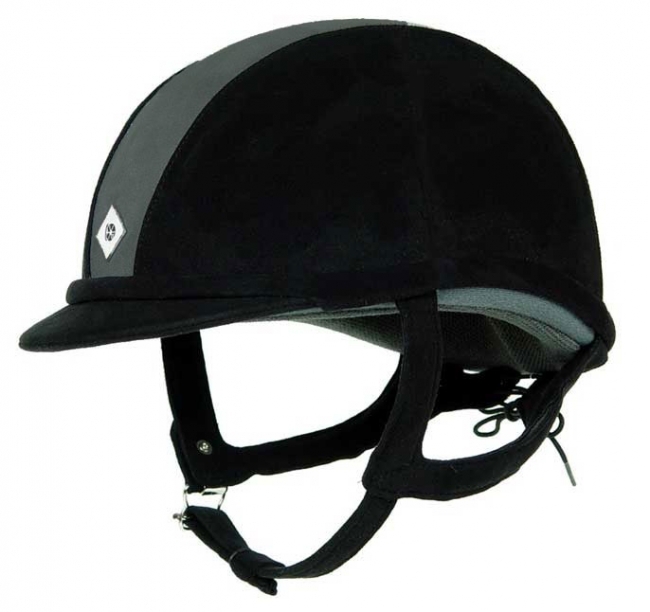 This is a great color Charles Owen "GR8" riding helmet is at the cutting edge of Equestrian Fashion. Worn by well known equestrian riders for its technical, like low profile and a microfiber suede material in which the helmet is covered. This is a spectacular helmet featuring the best and most innovative features making it one of the most comfortable riding helmets on the market. Low profile with a cool max lining. ASTM approved. If you want a comfortable, stylish helmet, this is it! This is the helmet Ann Kursinski is wearing!